Dimian & Masterpalo Attorneys at Law understand how confusing it is when in you’ve been in an accident, especially if you’ve sustained an injury. 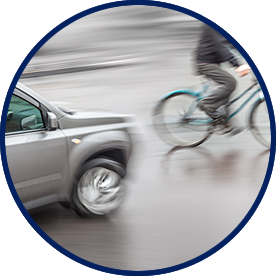 Whether it is a local or highway accident, involves an automobile, bicycle, motorcycle, bus, or as a pedestrian, top personal injury attorneys Steven Dimian and Patrick Masterpalo are there to help you every step of the way. CALL FOR YOUR FREE CONSULT – 732-508-9200. NO FEE GUARANTEE POLICY. 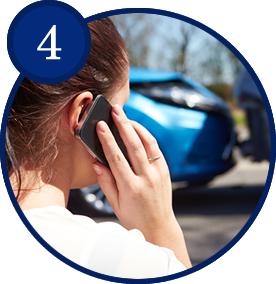 It’s easy to become overwhelmed at the scene of a car accident or when dealing with all the things that need to be taken care of following an accident, such as insurance companies, hospitals, doctors, your place of work, lost wages and repair shops. 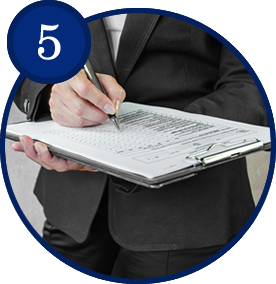 Most people are not familiar with the laws and requirements involved in filing an accident claim. For instance, IN NEW JERSEY YOU HAVE A LIMITED AMOUNT OF TIME TO BRING A CLAIM. Dimian & Masterpalo can help guide you through the process and get you the compensation you deserve. The first thing you should do is make sure you or others are out of harm’s way. It is best not to remove the vehicles before the police come to the scene, however, that’s not always safe to do. Call for medical assistance immediately if you or anyone else is injured. In New Jersey, accidents over $500 in damage MUST be reported to the police. Never leave the scene of the accident. Wait for the police to arrive. The police will take statements from you and the other driver. They will prepare a report that will be available within 10 days of the accident. It is important when filing an injury or property damage claim you have a copy of this report; this is your proof that the accident happened the way you say it happened. Contact your insurance company to inform them about the accident. Gather as much information as possible regarding the accident. If you have one, use your cell phone for taking photos of the damage to all vehicles involved. 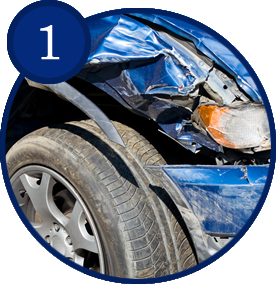 Get the names and numbers of all witnesses to the accident and exchange information with the other driver. But do not discuss fault of the accident with the other driver. Cooperate with the police fully and carefully detail the facts of the accident, but NEVER admit fault. If the other driver admits fault or apologizes, write or make a mental note of exactly what was said at the scene of the accident. Often at the scene of an accident, due to an adrenaline rush, many of our clients have said they didn’t feel any pain or discomfort, sometimes for hours or even days after an accident. That’s why it is so important to seek medical treatment immediately. Your health and getting the proper treatment for any injuries sustained should be your primary concern but getting documentation from a doctor regarding your injuries is important if you plan on pursuing a claim. It is always best to seek legal advice as soon as possible. 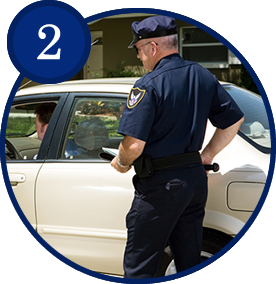 An attorney can help you go over your police report as well as guide you through talking to insurance agents and filing a claim if that is what you decide to do. Insurance companies will be calling you to gather as much information as possible. Be careful in speaking with any insurance representative, as everything you say will be recorded. Don’t be tempted by a quick offer to settle. Getting counsel from an experienced auto accident attorney will help you get the financial compensation you deserve. If you have a questions about your recent New Jersey accident, call Dimian & Masterpalo at 732-508-9200. According to the U.S. Department of Transportation’s National Highway Traffic Safety Administration, 11% of all roadway accidents that occur in the United States involve motorcycles. And, if you’re involved in a motorcycle crash in New Jersey, statistics show that you have an 83% chance of being injured. 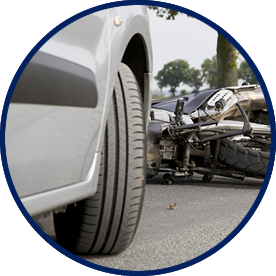 If you or someone you love has been injured in a motorcycle accident in New Jersey, you need to contact an experienced, aggressive New Jersey lawyer immediately. Dimian & Masterpalo has the New Jersey law experience you need to aggressively fight for your rights and get you the compensation you deserve. Regardless of the safety features that buses are equipped with today, injuries and fatalities still happen every year due to the carelessness or negligence of the bus driver and/or other drivers on the road. In fact, negligent behavior while behind the wheel is the number one cause of bus accidents. 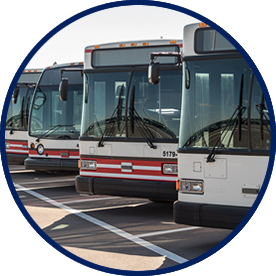 If you or a loved one has been injured as a result of a bus accident, you need to consult an attorney immediately. An experienced and skilled attorney will protect you from inadequate settlement offers and ensure that you are fully compensated for your injuries. From contacting insurance companies to investigating the accident, an attorney will be your best chance of recovering the costs associated with your injury, from medical costs, to lost wages, to emotional pain and suffering. Dimian & Masterpalo have the New Jersey law experience you need to aggressively fight for your rights. There are a variety of reasons for bicycle accidents, including potholes, unsafe conditions, negligent repairs, manufacturer defects in the bicycles, drivers not paying attention, etc. Dangerous conditions can occur on public or private property and often times the property owner may be held liable. Dimian & Masterpalo will help determine who was at fault. Let a qualified firm represent you to get the best settlement value for your case. 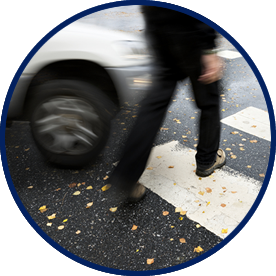 Thousands of pedestrians are gravely injured or killed each year due to an automobile or other moving vehicle hitting them. Some of the most common cases include drivers who do not observe road signs, drivers who are speeding, and those who do not obey stop lights and stop signs. You should immediately seek legal counsel following an accident. Dimian & Masterpalo will gather the evidence needed to bring a case including, but not limited to, police reports, eyewitness statements, and experts that reconstruct the accident scene. 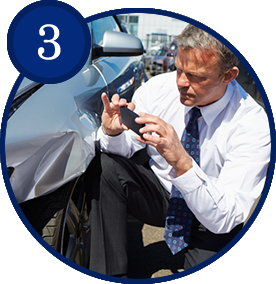 Their professional legal team will discuss the accident and work together with you to form a strong case. You deserve your medical costs paid for, lost wages reimbursed, as well as compensation for your pain and suffering. Let their experiences with New Jersey law help you get the compensation you deserve.